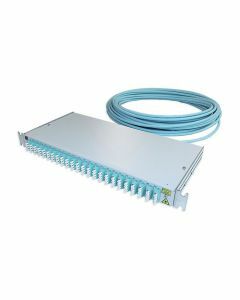 Pre-terminated panels produced by Orbis are installation-ready packages with connectors, cable and adapters. 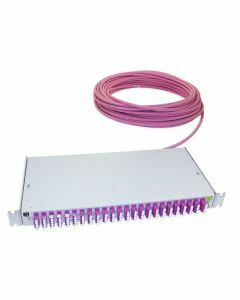 We provide the panels with various amounts of fibers, connectors and cable lengths, as per the customer request. 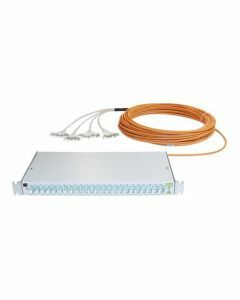 In these versions the cable is multimode. Connectors are assembled "on top of the fiber" so the factory-made connector lacks the extra insertion loss compared to splicing of pigtails. Depth of the panel is 140mm. The version with bottom plate is adjustable from the height of 1U to 2U.